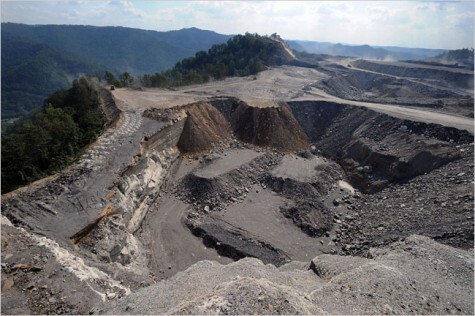 A recent study — another in a long line of them — about mountaintop removal’s public health impacts is making the rounds on social media. Lung and bronchus cancer [LBC] death rates have increased significantly since the introduction of MTR in Boone County (all genders, ages, corrected for age). All site cancer death rates have likewise increased significantly over time. There were significantly more deaths from LBC in MTR counties than in non-MTR counties of WV. The Boone County deaths could not be completely accounted for by smoking cigarettes … Occupation had no effect on deaths from LBC for males, however, for females; homemakers had a significantly elevated risk of death than their working counterparts. The population in Boone County has decreased over time. Other sources of air pollution and routes of contaminant exposure may have contributed to these increases but if so their nature and source(s) are not known. In the absence of other sources of exposure, the data suggest that the introduction of mountaintop removal mining could have affected mortality in Boone Co., WV.